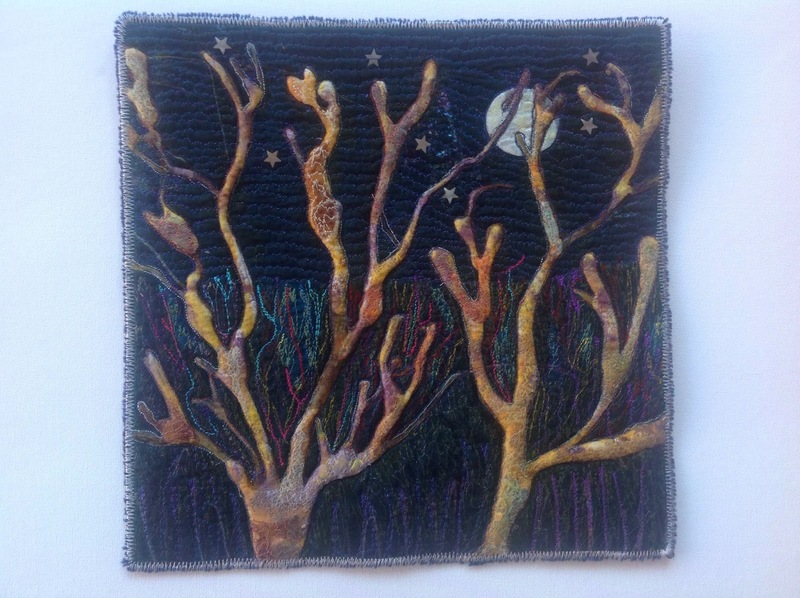 Velvet fabric (interfaced) discharged trees, then paint and texture added for 'ageing'. Moon outline placed, woodland background and trees outlines added with FME. Layer batting and scrim over reverse side, organza over the front. FME around tree shapes, moon and woodland area again. 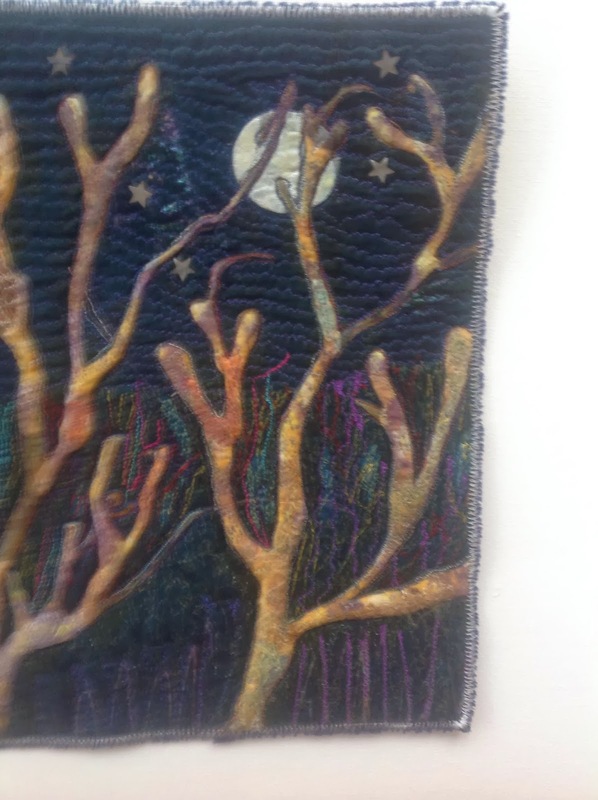 Cut away organza over tree bones moon (add layer of paint) and woodlands to make light and shade. Add backing fabric, go around trees again with FME to make the sandwich complete.Finish edges with zigzag over chenille wool. Add sleeve and label.